In the north, in the winter, you can throw down some planks of wood, some plastic sheeting, and fill it up with water to make a skating rink. 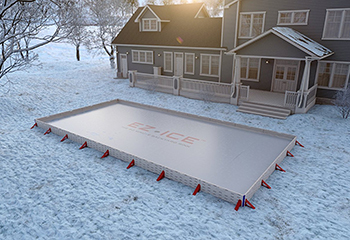 EZ ICE seeks to disrupt that market by selling an over-two-thousand-dollar kit to do the same thing. 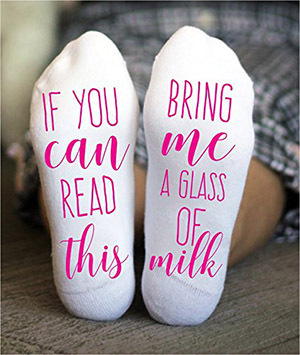 Socks for the milk-drinking lady in your life. It’s marked as “ages 4-99,” but at this price, you probably don’t want to give it to your kid to chew on. 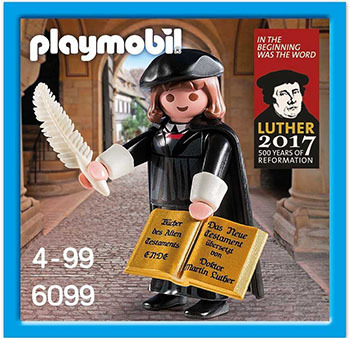 Besides, if your kid’s going to be playmobiling, wouldn’t you prefer this Viking Playmobil set that lets them reenact the violent, slave-trading colonization of Europe? Or this Roman troop Playmobil set that lets them reenact the violent, slave-trading colonization of Europe? 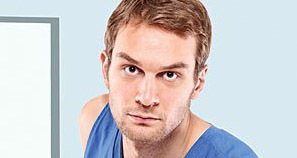 Look into this man’s eyes. This is fun. He is having fun. This is what fun looks like. 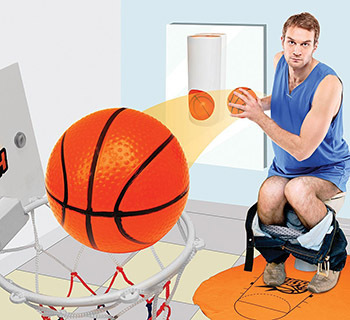 Toilet basketball. Coco Loko, described as “Infused Raw Cacao Snuff,” doesn’t disclose its ingredients, but its founder has told the media that it contains ginkgo, taurine, and guarana. 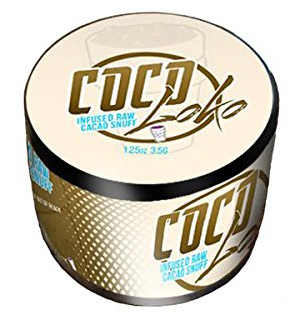 As you might expect, reviews of Coco Loko are mostly negative, and mostly describe how uncomfortable and gross it is to sniff cocoa powder up your nose. 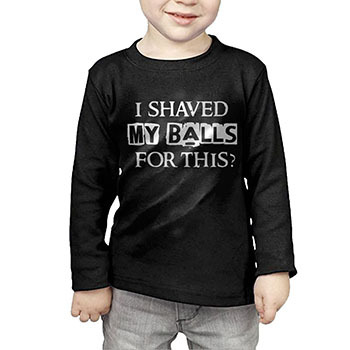 You tell me, children’s t-shirt model. I wouldn’t have brought the subject up on my own. 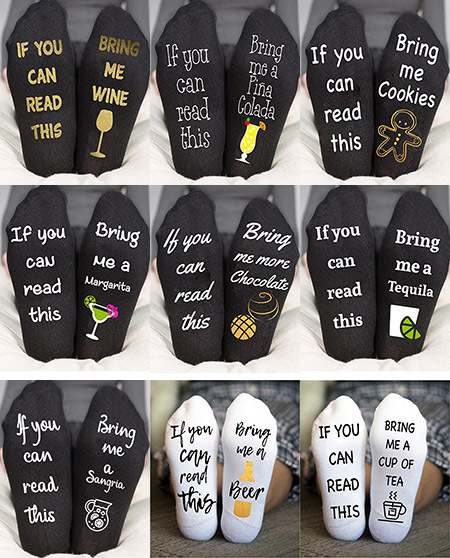 The same company makes what I believe is possibly the worst children’s item I’ve ever found, which I urge you not to look at. You have been warned. 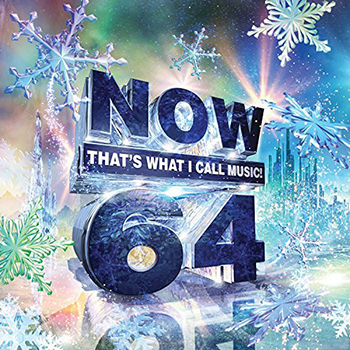 The NOW That’s What I Call Music! series, unsurprisingly, receives almost unanimous five-star reviews. “I just put the CD in and know every song will be a great song,” writes a customer in reference to the 60th volume in this set. “Great purchase, and goes great with my ‘Now That’s What I Call Music!’ collection,” writes another. The British version of this series started before the US version, and they are, as of last week, now on NOW That’s What I Call Music 98.